Since early this year, I've been making Korean food at home for the family a lot more often. 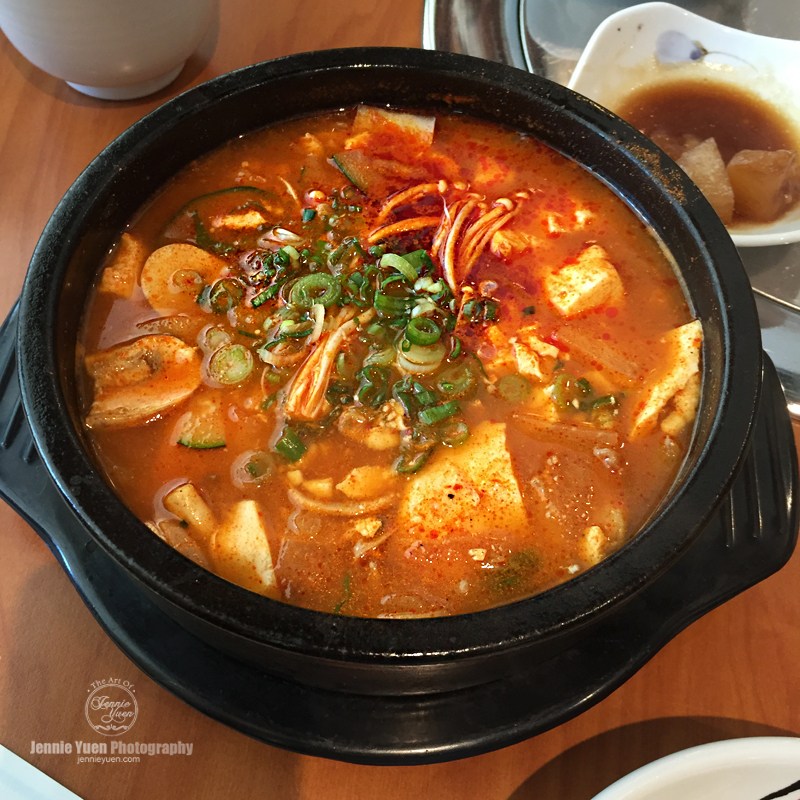 My favorite dish (and little one's favorite) is the Tofu Soup, Soondubu Jjigae. 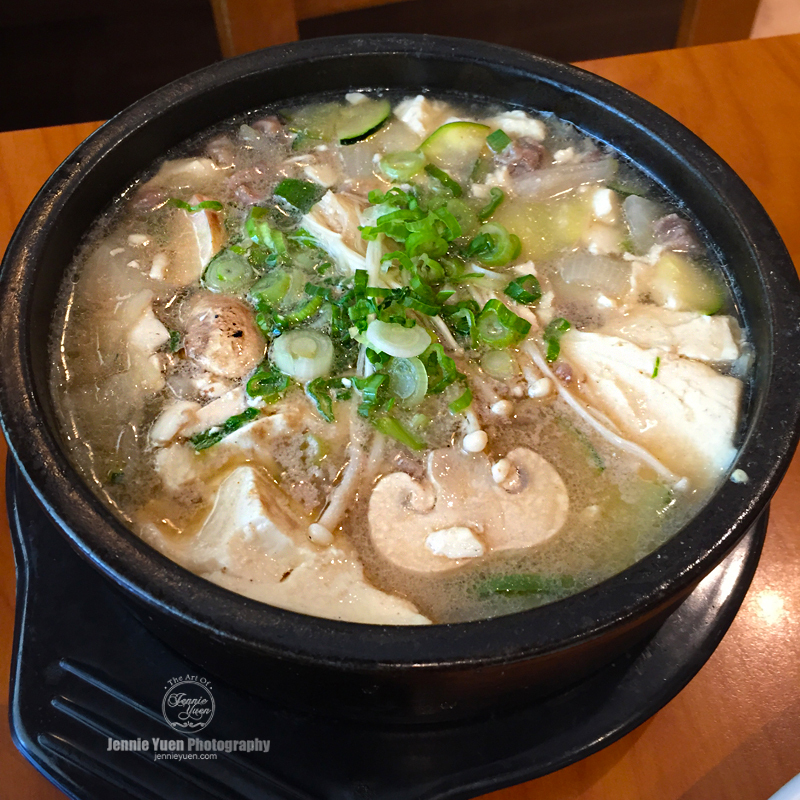 It's a stew/soup made with soft tofu, meat/seafood, vegetables, spices, and soybean paste for the soup base. First time I've made it a few years ago, it was ok, but I didn't buy the earthenware bowls as it was quite expensive. 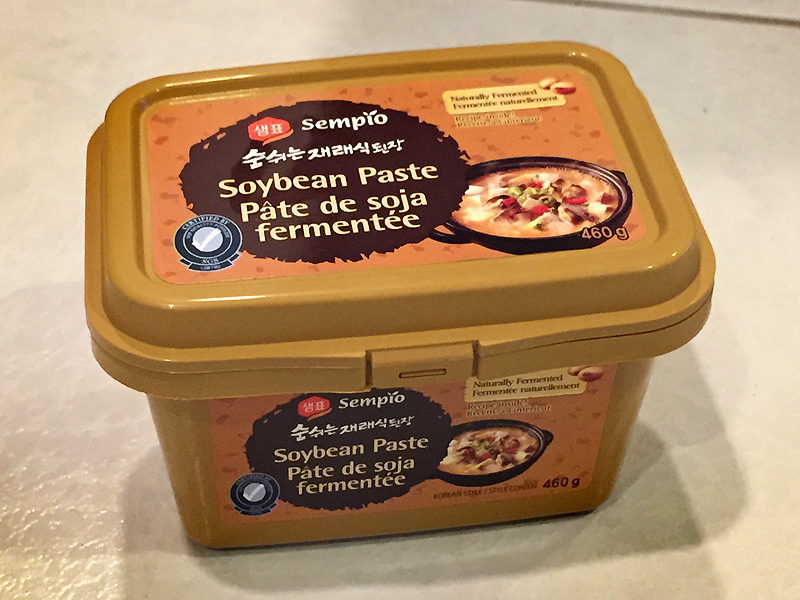 Since I stumbled upon a Korean supermarket that I never knew about, I bought 3 of them as they were only about $7 each with the base plate. Making this at home with own ingredients is a lot cheaper than going to the restaurant. It costs about $10 per person at restaurants compared to $8-10 total when I made it at home that serves 4 people. So here is my recipe of the Korean Tofu Stew that I made recently. You can make it mild or as spicy as you like. I usually cook directly in the earthenware pots on the stove. Distribute all ingredients evenly between each pot. 1. Heat in pot 1 tbsp of vegetable oil over medium heat. Add onions and sautee. Then add meat, season with salt and pepper, and cook until brown. 2. Add the chili paste, stir to combine. Add zucchini, carrots, mushrooms. Stir and combine. Simmer for about 2 minutes. 3. Add water (or stock), soybean paste, fish sauce, and sesame oil. Be careful not to pour too much water. Leave about 1-2 inches from rim. Break apart the tofu and slowly add in to the soup. Bring to a boil. 4. Crack the eggs and pour into each individual pot. Simmer until the whites are set. Remove pot from heat and place on a dish. Garnish with green onions. Serve with rice on the side.